It is Alfred Dunhill Links week, and what an event this is. Played across three of the finest links courses in Scotland, including “The Home of Golf”, this Championship is a big attraction. With that said, with its place in the schedule this year, coming the week after the Ryder Cup in Paris, we may see some of the favourites struggling with fatigue. Many of the top players this week were heavily involved in the FedEx Cup Playoffs and then had to go to Paris, before taking a quick flight to Scotland. Some will cope better than others, and it is not to say that those that were involved in the pandemonium last week, can’t go well here, but it does make it more difficult. Hotly tipped to be the winner of PGA Tour Player of the Year following his two majors wins, Brooks Koepka is the strong favourite this week. Like the rest of his team, Koepka suffered a tough week in Paris, and was involved in a tough battle with Paul Casey, as the pair halved their Singles match on Sunday, so it depends how quickly he can recover as to how he goes this week. He’s a big fan of the event, and already shared his excitement via his Instagram account about returning, so maybe he can overcome any issues and play well here. In three starts in this event, he has finished 50th, 9th and 2nd, so he clearly enjoys the test. Koepka also finished T10 at the 2015 Open Championship at the Old Course, St.Andrews. Tony Finau, who is in a similar position to countryman, Koepka also plays this week, and with plenty of current form behind him, including a resounding victory over one of Team Europe’s star men, Tommy Fleetwood last Sunday. Fleetwood also plays this week, and he holds the course record at one of the courses here, Carnoustie where he shot a 63 in this event last year. Fleetwood’s European teammates, Tyrrell Hatton (2016, 2017) and Thorbjorn Olesen (2015) have won the last three renewals of this event between them, and they both play here this week. These five players will demand all the attention this week, and rightly so, but this is a deep field, with plenty of talent throughout. St.Andrews is used for one of the first three rounds and also the final round on Sunday, rewarding those who make the 54-hole cut with a second chance to play this beauty. Part of the Open Championship rotation, this was last used to host Britain’s only major in 2015, and will be used again in 2020, per its five-year hosting cycle. If the weather is ok, this course isn’t the hardest, but any adverse weather conditions can wreak havoc, so the forecast is the most important factor at this course. Otherwise, form at this course or links in general will give players hope in two of the four rounds at this event. Typically the toughest course used at this event, and indeed one of the harder used for the Open Championship, that was still the case in this event last year, despite Fleetwood shooting a course record 63. Used for the Open Championship this year, Carnoustie is a popular course on the Open rotation, due to its toughness and whilst Francesco Molinari managed to shoot eight-under-par to win the Open this July, the course is a different beast in more Autumnal or even winter conditions, depending on the forecast. Staying out the pot bunkers is a must on this course. The course where the players expect to catch a break, Branden Grace hold the course record here, shooting 60 in 2012 en-route to his victory at this event. Generous fairways and a lack of any real danger, this is not a tough layout especially in calm weather and that needs to be taken advantage of. The back-9 is generally considered tougher than the front with six of the seven toughest holes last year coming from hole 10 onwards. It averaged higher than St.Andrews last year, but don’t be fooled, unless there is some really tough conditions, consistently low scores should be shot here. You have to score well on the Par 4’s at this course, with Hatton leading the way in that category over the last two years, and to do this you will need to find plenty greens and make more than your fair share of putts. With some very large putting surfaces, hitting the greens will not be enough in itself, the approaches will actually have to be very accurate, so the irons and wedges need to be dialled in. 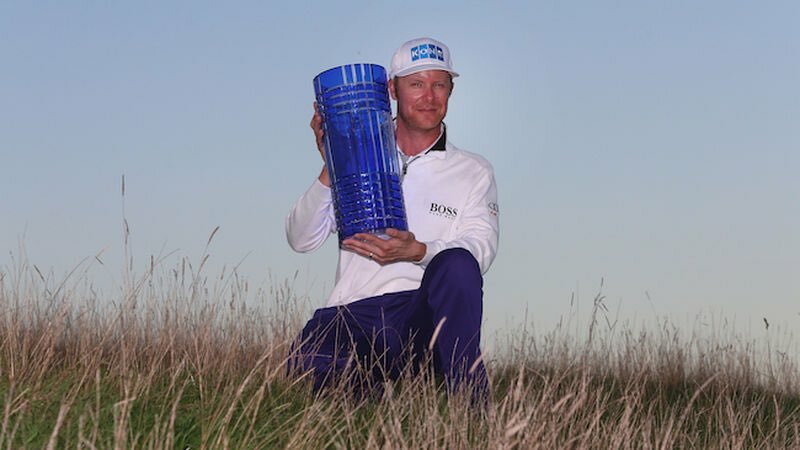 Given the winning score here has averaged at 21-under-par in the last five years, this is clearly an event where you need to make a bucket load of birdies, so pars won’t be of use to anybody, unlike when Carnoustie and St.Andrews host the Open. Links golf is such a leveller and can catch some of the very best players in the world out, so form on these sort of layouts is a must. Most of the field will have plenty of experience on these layouts or similar, and even the leading Americans will have experience from recent Open Championships at the Old Course and Carnoustie. With this being a Pro-Am format as well, patience of the highest order will be required, given how much longer rounds will be, with amateurs teeing it up as well. We have seen in the past that at both Pebble Beach on the PGA Tour and this event itself that this simply doesn’t suit some golfers and can affect their play. 13 of the 17 winners here have been British or Irish so it is clearly an event that favours though that are used to not only the style of course but the conditions as well. The big-hitting Dane has been in spectacular form of late, and with generous fairways he can make use of his power off the tee, and continue his run of good form, which currently stands at four-straight top-20 finishes. 9th at the Czech Masters and 6th in his home event at the Made in Denmark, Bjerregard was a man in form going into the European Masters and it showed. Unfortunately he was cruelly denied a second European Tour victory, when losing to defending champion, Matthew Fitzpatrick in a play-off. Not too disheartened after his week in the Swiss Alps, Bjerregaard finished T20 at the Portugal Masters last time out. Four rounds in the 60’s there prove he’s still got plenty of form on his side and until he shows signs of slowing up, he’s worth a second look in the market. Whilst his last three efforts here have ended in a missed cut, he finished T32 on debut, bouncing back from an opening round of 74 with rounds of 68-70-68. He will need to go a lot lower this time around, if he wishes to contend, but given his current hot streak that shouldn’t be an issue. A man in form, Bjerregaard looks a smashing price, given the question marks over the fitness and sharpness of those at the head of the market. A very good player, especially at European Tour level, the only surprising factor about Ross Fisher’s career as he has not won more, and that is also the case here. Three times in his career he has finished runner-up in this event, including in each of the last two years and he will look to go one better this week. A large part of his success last year was his final round 61, when he took advantage of the benign conditions. A winner of the Irish Open in 2010, and a perennial runner-up here, he looks a fantastic price to go well again, even if his current form isn’t up to his usual standards. No top-10’s since the BMW PGA Championship earlier in the season, Fisher will certainly be hoping to find form on a set of courses he plays very well and end the year with a flurry. We know he is the type that can find form on any given week, so when he is at the scene of prior success, he is worth chancing. A T17 finish at the WGC Bridgestone Invitational not too long ago was a good effort, finishing just two strokes shy of a top-10 there, and hopefully he can get nearer to contention this week. At 45/1 he is overpriced in a field, that whilst is deep, does include a lot of fatigued players at the head of the market. His T40 in Portugal a fortnight ago doesn’t make brilliant reading but he did shoot three rounds in the 60’s and he can go plenty better here. Surprise winner of the Scottish Open, Brandon Stone comes into this event with some form under his belt since that win, unlike before. Before winning in Scotland, Stone missed three cuts and finished no better than 60th in his six events leading into his win, but since winning he has played in four events, and whilst inconsistent results wise, he’s not missed a cut and his last two results are a T12 at the PGA Championship and T10 on the Sunshine Tour. That finish in the PGA Championship is of particular interest, as he looks to have found a new level, and if he can carry that into this week, he should make a run at contending in this country for the second time this year. He finished 15th in this event last year, two shots shy of a tie for 7th and should he build on that performance as well as his recent form, he can surely be expected to post a career-finish at this event. At 75/1 I think he is worth chancing given his current form, and recent success at the Scottish Open. A winner earlier in the year in South Africa, which he followed up with back-to-back T5 finishes in the Middle-East, Chris Paisley has had an up and down season, which he will look to steady as the calendar year draws to a close. With a baby on the way imminently, a good week here will certainly be a welcome gift on top of what will be the greatest and most life-changing moment of his life. In three efforts here, he’s missed two cuts (2016, 2017) but back in 2013, with his playing privileges on the line he finished T12 in this event, but fell just one stroke shy of retaining his card. There will not be the same sort of pressure this week, given he now has an exemption thanks to his win in South Africa, for the first time in his career. With his mind at rest in that respect he can go out and play with a lot less stress, should Baby Paisley not make an appearance over the weekend! Given his effort here in 2013, a T13 finish at the Scottish Open in 2016 and some decent efforts in the Paul Lawrie Match Play in recent years, he clearly enjoys this part of the world and is capable of playing links layouts. A run of missed cuts on the Web.com Tour ended when he finished T8 at the Web.com Tour Championship, thanks to an opening round 61 and a third-round 63. These rounds would have given him a lot of confidence, as would the finish and he was very unfortunate not to obtain a PGA Tour card in the end, falling just one stroke short. The long-term aim, as it is for many a golfer is to play more on the PGA Tour, but for now events such as this are perfect to contend in and raise his profile, in order to receive some more Sponsor’s Invites on the other side of the Atlantic, as well as prove himself a capable winner on more than one occasion. He will look to end the season as he started, contending for what would be his second victory on Tour, and given the way he held off home favourite, Branden Grace down the stretch to win his first at the BMW SA Open, I’d be confident in him to handle the pressure well again, should he be in position come Sunday. A rare foray into the European Tour this week, but I love this event and I think there is plenty of value to be had, as those at the head of market are surrounded by the question mark that is the Ryder Cup. Can the Europeans that were so successful in Paris get back to business as usual here, or did their winning effort take its toll? Whilst the American favourites in the shape of Brooks Koepka and Tony Finau will have to pick themselves up after a disappointing week. Check back again this evening, when Steven Gray will also give his thoughts on this event.